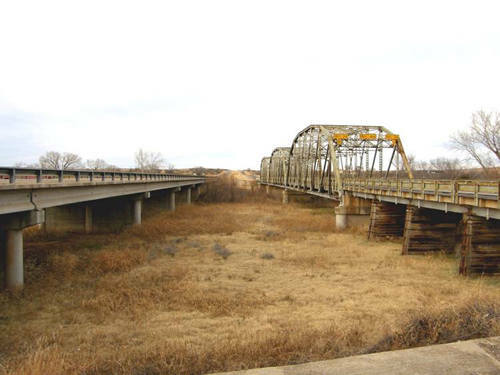 Bonnie and Clyde's Red River Plunge Bridge, US Highway 83, Wellington, Texas, Collingsworth County. 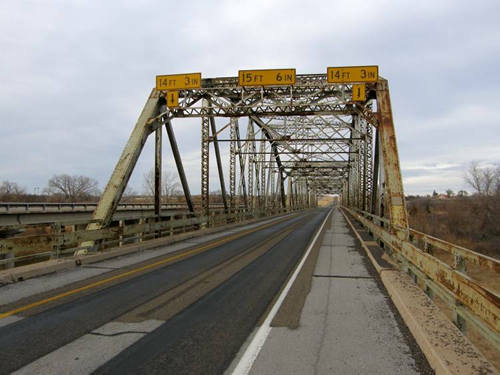 Built in 1939 to replace an earlier bridge over the Salt Fork of the Red River, six miles north of Wellington in Collingsworth County. 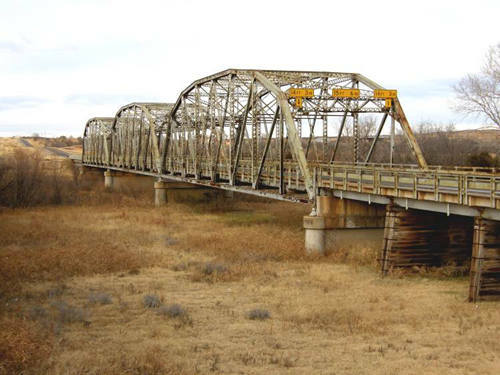 Soon after the earlier bridge washed out, Bonnie and Clyde and their gang drove off into the river at high speed in June of 1933 in what has been called "The Red River Plunge of Bonnie & Clyde." Bonnie was badly burned, and it is said she couldn't walk without assistance for the rest of her short life. A neighboring farm family, acting as Good Samaritans, was held hostage in their home, and a woman was shot through the hand but not badly injured. 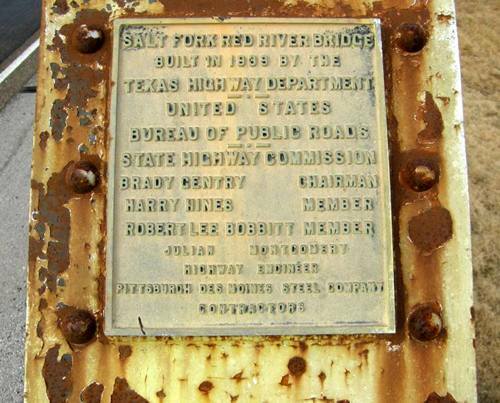 The current bridge is being threatened with demolition by TXDOT even though it is listed on the National Register. 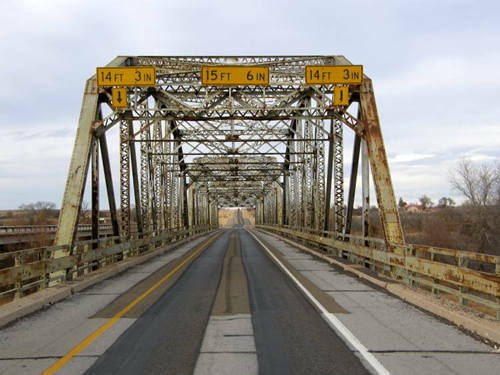 On June 10, 1933, Mr. & Mrs. Sam Pritchard and family saw from their home on the bluff (west) the plunge of an auto into Red River. 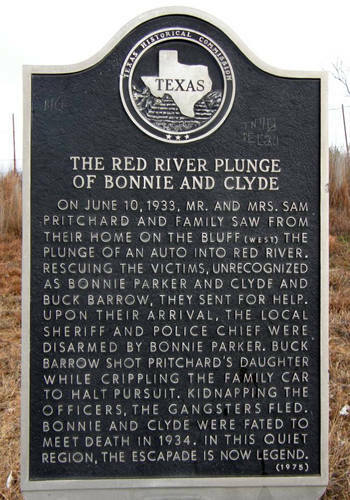 Rescuing the victims, unrecognized as Bonnie Parker and Clyde and Buck Barrow, they sent for help. 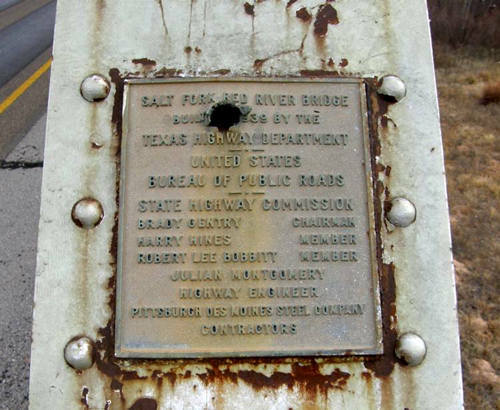 Upon their arrival, the local sheriff and police chief were disarmed by Bonnie Parker. 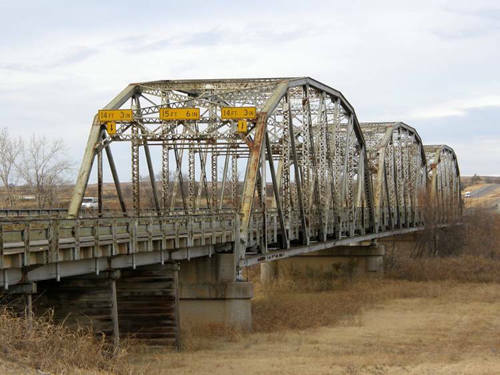 Buck Barrow shot Pritchard's daughter while crippling the family car to halt pursuit. 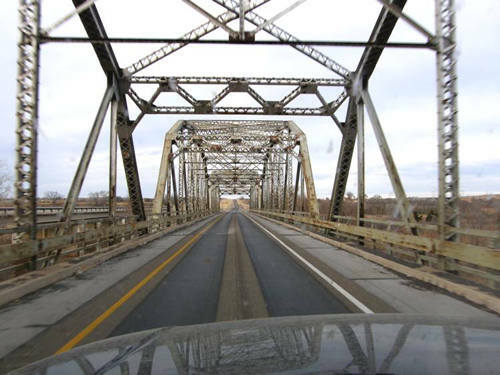 Kidnapping the officers, the gangsters fled. 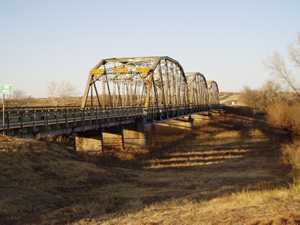 Bonnie and Clyde were fated to meet death in 1934. In this quiet region, the escapade is now legend.